Apple to confirm Beatles iTunes deal and new iPods on Tuesday? 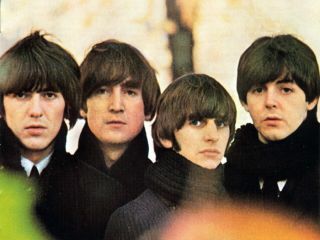 The Beatles for sale again? Speculation is mounting that The Beatles' back catalogue could be available in remastered form on iTunes in 2009. The October 2008 issue of Mojo magazine features an interview with Paul McCartney and describes a playback of ten remastered White Album tracks that sound "better even than we'd hoped." Reportedly, all of The Beatles' albums including Yellow Submarine, Magical Mystery Tour and the Past Masters LPs have been remastered, but not the rare - and actually rather good - Hollywood Bowl live album. Rubber Soul and Revolver are expected to be available in three mixes: mono, original stereo and the 1987 stereo rebalances, but no 5.1 mixes are planned for any of the albums. According to Mojo, Apple Corps plan to release the remastered albums in 2009 and get it right rather than attempt to cash in on Christmas sales. You may rightly be wondering how this relates to the Apple company that make those rather ingenious little iPod things. Well, what we do know is that Apple Inc are set to hold a publicity event on Tuesday 9 September entitled Let's Rock at which all-new iPods, including a redesigned iPod touch, are expected to be announced. But could Let's Rock also mark the announcement that a deal to bring The Beatles' back catalogue to iTunes has finally been inked? It seems unlikely that Apple Corps would remaster the band's entire back catalogue for the flagging CD market alone, and back in late 2007 Paul McCartney told Billboard magazine he expected a deal to be done with Apple Inc in 2008. We'll just have to wait until Tuesday to find out, and start saving our pennies to buy all of The Beatles' albums. Again.